Toronto Fashion Week: Where Are All The Men? 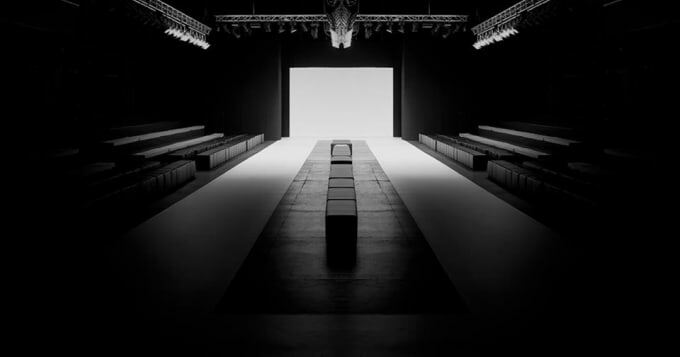 Toronto Fashion Week kicked off early this week but something is missing. Menswear sales are set to grow another 40 billion by 2020 yet the calendar is bare of any menswear shows (sorry Mackage/Rudsak, I’m talking menswear only). Canada has started to establish a name internationally with contemporary labels such as Reigning Champ and Wings + Horns selling internationally while up and comers such as Need/Wants and 3. Paradis bring a fresh perspective. This exemplifies a huge opportunity that’s being missed; showcasing our menswear talent. As menswear sales continue to grow and the definition continues to expand, Toronto needs its menswear talent to participate in order to maximize the potential of Toronto Fashion Week. There are plenty of reasons why a menswear designer might not show but like any business it comes down to money. The price of a show can vary dramatically ($1,000-$10,000 or more). Such a large range is based on a variety of factors such as looks shown, lighting, DJ, models etc. Even if the show is sponsored, the cost of just producing enough looks can be draining to a young designer just starting out. Assuming the designer has enough cash to throw a full-blown show, it is hard to judge the ROI since likes and runway reviews don’t necessary translate to sales especially for young designers still establishing themselves. Although the calendar may be bare, several brands are looking to differentiate themselves by showing their collections through different outlets. Toronto staples such as 3.Paradis and Christopher Bates opted to show at Toronto Men’s Fashion Week. Hot up and comer Andrew Coimbra (quickly making a name for his refined, lively take on menswear) opted for a presentation for his second season in a row. “I wanted to control the atmosphere. It was important for me that the collection feel like part of the space, and that the members of the media and fashion industry be able to see the quality of the garments up close and personal.” said Coimbra on why he opted for a presentation. Those two reasons make a lot of sense as menswear prides itself in craftsmanship and details, both of which are better seen up close as opposed to in motion on the runway. The timing of fashion week also raises an issue as it’s past the buying season for most retailers. David Kollar, founder of the cult favorite Kollar Clothing had this to say on his decision not to show “As much as we would have loved to show this season, we were away at the Las Vegas trade show last month which was awesome for us because we did a ton of new business. However, it didn’t leave us with enough time to prepare for the show the way we would’ve liked too”. As established Toronto brands such as Kollar continue to grow internationally, focusing on expanding their stock-list should be priority, which unfortunately happens to overlap with fashion week. Despite the advantages a brand may have from taking a different direction having all of Toronto’s talent under one roof would greatly benefit everyone involved. Having a themed menswear day could help offset the issue of price by bringing in menswear targeted sponsors. Having an abundance of Canada’s talent under one roof would help attract Toronto’s top menswear media outlets and may even attract buyer’s looking to fill their OTB with new talent. As the number of Canadian labels continue to expand, I hope we can unite to show how deep our talent runs.